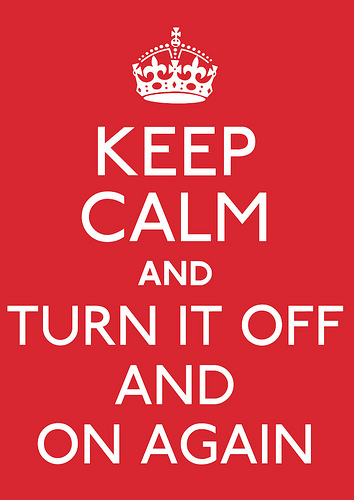 Everyone in England knows the motto “Keep calm and carry on” and its origin, dating back to 1939, therefore I won’t spend time on this. If you’re not familiar enough with its history, though, please have a look here (while my Italian, too-lazy-to-read-it-in-English friends can get some info here). Anyway, I was really surprised to see how popular this motto is: here in Brighton I’ve seen it displayed on posters, mugs, jumpers etc. I was even more impressed seeing how many variations people’s fantasy has thinked up on that theme. 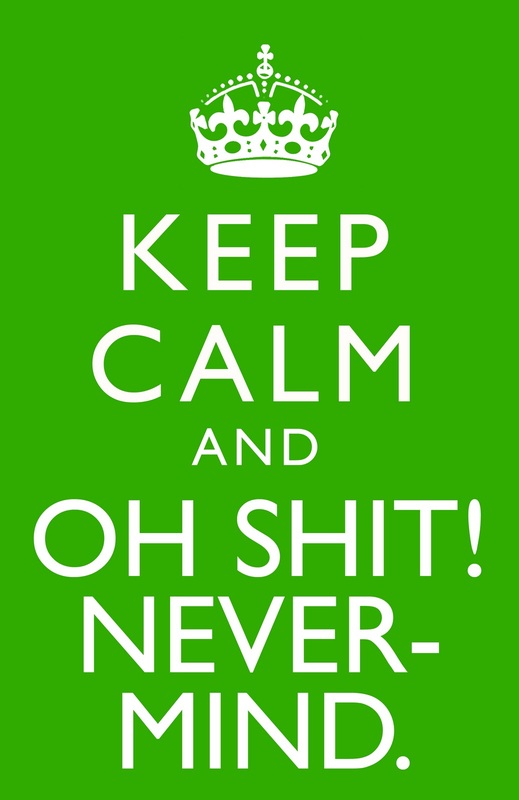 You find two funny examples on the images above, but please let me mention just a couple more (among the very many you come across with a simple web search): “Keep calm and have a beer” and “Keep calm and call Batman”. Not bad, don’t you agree? The circulation of the motto (and its parodies) is a sure sign of genuine popularity, probably because it “taps directly into the country’s mythic image of itself: unshowily brave and just a little stiff, brewing tea as the bombs fall” (Bagehot on “The Economist”, via Wikipedia). 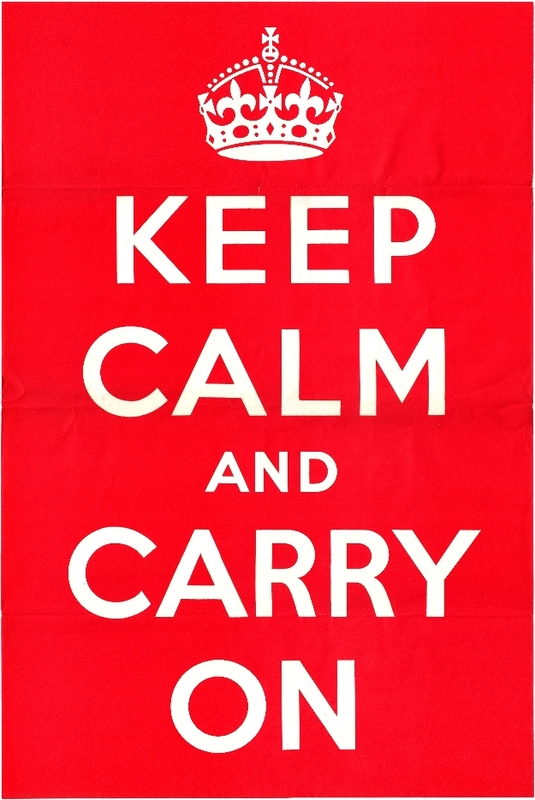 Through this motto, the British are celebrating themselves and their conduct during WWII. I won’t discuss whether they should feel totally happy with what they did in wartime or not (awful things are made by all parties in such circumstancies), but it’s still impressive to realize how positive their sentiment is on this issue. I tried to compare it to what we Italians feel, but couldn’t find anything similar. All those Italian who (like me!) have democratic ideas know that we were on the wrong side, while Fascists still feel ashamed for the “betrayal” perpetrated against the Axis. All in all, no one among my fellow countrymen are happy with our conduct. To find a feeling of national pride, we need go back to the 19th Century, with the Risorgimento and the Unification; and still, they are seen by many as quite controversial enterprises. Personally, if someone asked what could be for me a symbol of national pride related to WWII, I would probably say: “Bella ciao”. That’s the famous song sung by our “Partigiani”, the civilians who fought against Nazis and Fascists and had a great part in the liberation of Italy and the return of democracy. Here you find a wonderful live version by “Modena City Ramblers” displaying plenty of period photos.